The 2016 presidential campaign season, for all its media-circus warts, has drawn the attention of millions of passionate Americans who yearn for a better future. Whether they consider themselves Democrats or Republicans, liberals or conservatives, Greens or Libertarians, independents or something in between, these Americans are overwhelmingly tired of the establishment status quo in which government does the bidding of corporate power brokers. 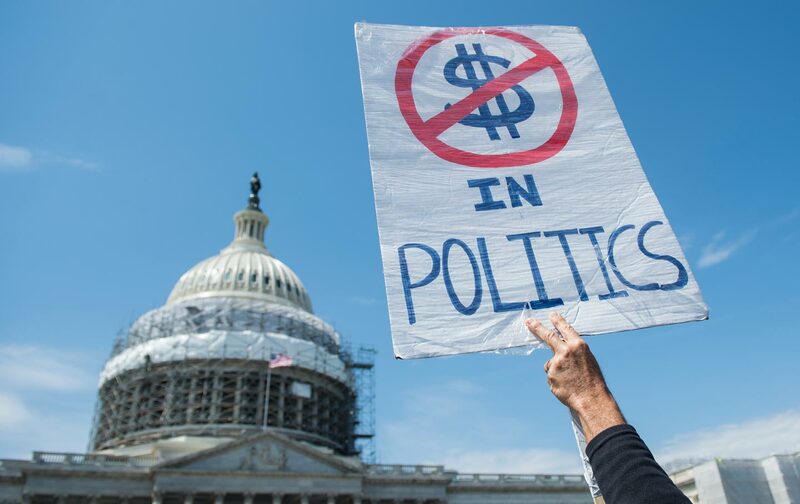 These Americans want to see real change that actually benefits them in tangible ways—and with the obscene billions of dollars now being poured into the commercialized political campaigns, who can blame them? Unfortunately, many of these same Americans believe that positive change is impossible because “you can’t fight City Hall” or deeply entrenched corporate power. The contemporary fact is—you can, and winning is easier than they think. We just need more victories until they become systemic! As the political frenzy reaches its apex due to campaign spectacle, now is an ideal time to channel our often-underestimated yet exceptionally powerful civic energy into real, transformative action that benefits living-and-breathing people instead of profit hungry corporations and their toadies in government. With this objective in mind, The Center for Study of Responsive Law is celebrating the 50th anniversary year of my book Unsafe at Any Speed, by hosting four days of learning, planning, organizing and, most importantly, mobilizing at Constitution Hall in Washington, DC, on May 23, 24, 25, and 26, 2016. The publication of Unsafe at Any Speed in 1965 unleashed fresh public energies and sparked the creation of numerous advocacy organizations around the country that fought for major consumer, environmental, and worker-safety protections. These organizations courageously went up against City Hall and corporate power—and won—and at Constitution Hall, they will describe to you how they did it. On these four days, speakers from a wide range of just causes will present innovative ideas and strategies designed to take existing civic groups to higher levels of impact and innovation. Conference organizers will also encourage creation of new organizations. One such group—we call it Voices—will work to open up the commercial media, which uses the public airwaves free-of-charge, to more serious content. Another—a Secretariat—will facilitate action by retired military, national-security, and diplomatic officials who want, with a fast response time, to deter unconstitutional and unlawful plunges into wars that lead to calamitous and costly blowbacks—think Iraq and Libya. This “Super Bowl of Civic Action” will involve thousands of people, at Constitution Hall, and around the country via livestreaming on the Internet. Our goal is to connect long-available knowledge to long-neglected action for the necessities and aspirations of people from all backgrounds. Many of the presentations will feature reforms and redirections for the common good that majorities on both the left and the right support… but get no or very little attention in our two-party duopoly. Breaking Through Power: How it’s Done—May 23 will feature presentations by 17 accomplished citizen advocacy groups. Given their modest budgets and staff, they will demonstrate that it’s easier than many people think to make change. Breaking Through Power: The Media—May 24 brings together a gathering of non-fiction authors, documentary filmmakers, reporters, columnists, musicians, poets, and editorial cartoonists to see how to recover time on the public airwaves, including starting a new group called Voices to press for more serious content. Breaking Through Power: War—May 25 is dedicated to enhancing the waging of peace over the waging of war. We will assemble leading scholars with military and national-security backgrounds, veterans groups such as Veterans for Peace, and long-time peace-advocacy associations, to explain how organized peace advocacy is far more powerful than destructive war. Breaking Through Power: Congress—May 26 will unveil a new Civic Agenda to be advanced by engaged and enraged citizens in each congressional district through a civic tool we call The Civic Summons, which will invite senators and representatives to organized town meetings.